We know you might have questions about your exciting treetop adventure. If you don't see an answer to your question below, feel free to give our friendly staff a call! ZipQuest is open Monday through Saturday, 9 am to 5 pm and Sunday, 10 am to 5 pm. Hours may vary seasonally. For even more adventure, ask about our after-hours NightQuest tours on Friday and Saturday nights! 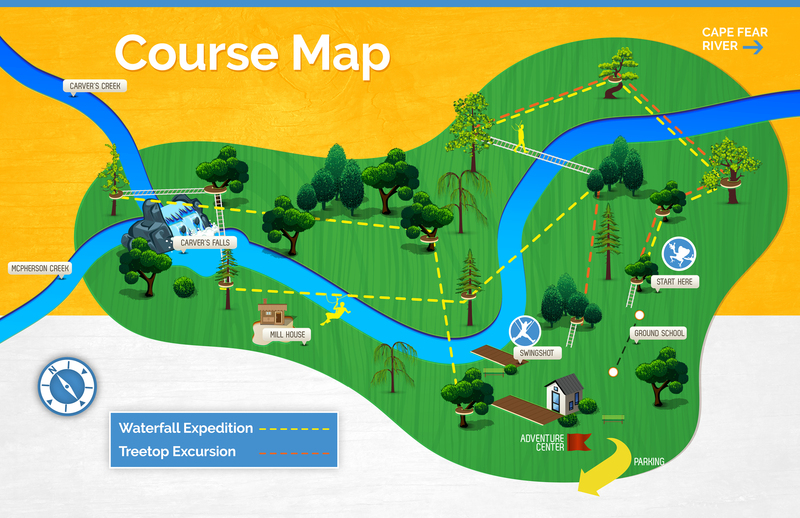 What is a ZipQuest canopy tour? A canopy tour is a fully guided interpretive tour led by 2 highly-trained certified staff members. On your canopy tour you will traverse from tree platform to tree platform by a zipline cable or suspension bridge. Our guides will lead you through our course and will handle your clips, making sure you are always clipped in at either 1, 2, or 3 points of contacts at all times. Prices vary per Quest. 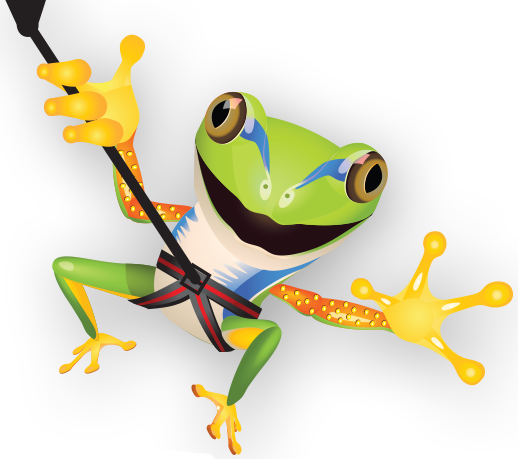 Check out our zipline adventures page for pricing here. Ask about our group and military discounts and promotion specials! We welcome guests from age 8 to 91! Children between 8 and 15 years old must be accompanied by an adult. Adventurers must weigh between 70-250 pounds. For safety reasons, we require our guests to wear closed toed shoes on the course. Long hair must be tied back and there should be no dangling jewelry. We also require riders to wear pants or shorts (no skirts or dresses) so that the harness buckles properly. What if I need to cancel my trip? All reservations are charged in full at the time of booking. If you need to cancel your tour, and can't reschedule for a different date, a full refund will be issued so long as the cancellation occurs prior to 48 hours of your tour time. Reservations are considered final 48 hours prior to your scheduled tour time and are NOT eligible for a refund OR rescheduling. By way of example, a tour scheduled for Saturday at 1 PM, must be canceled or rescheduled by Thursday at 1pm, to receive a full refund or be eligible for rescheduling. 1) No Call No Show: If you have a scheduled tour and do not show up nor call to cancel, there is no refund. 2) After you are geared up: a) If you decide to not continue your tour you will only be charged $25; OR b) If you zip to the 2nd platform (named Kelly) then there is no refund. 3) Full refunds are only eligible for tours cancelled before 48 hours of your tour time. Tours cancelled less than 48 hours before your tour time are ineligible for refunds. ZipQuest works hard to ensure tours depart no later than 10 minutes after their scheduled tour time, in order to maintain our guests’ plans/expectations. If you are running late, we will reschedule that day, given availability. What should I expect to see during my tour? During your tour, you’ll experience the verdant woods of North Carolina from above instead of below as you zip from tree to tree. You'll even learn about the trees that make up each unique zipping platform. On the Waterfall Expedition tour, you'll get a spectacular view of Carver's Falls and even get to zip directly over it! 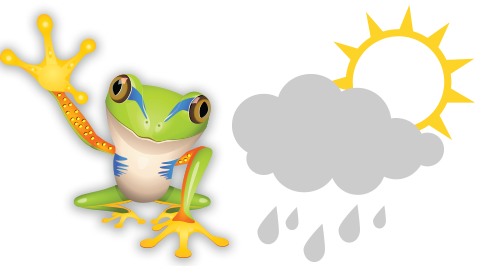 Keep your eye out for wildlife like tree frogs (like our mascot Zippy! ), squirrels, blue herons, countless songbirds, and other fun creatures that enjoy the peaceful Carver’s Falls area. Does ZipQuest offer gift certificates? Yes! Click here to purchase yours! Will my tour be cancelled if it’s raining or storming? Not only is Carver’s Falls one of the most beautiful places in North Carolina when it’s dry, but the canopy really comes to life during the rain! We continue our tours in the rain, and adventurers get to experience a tropical rain forest feeling in NC! The colors change, plants and animals re-orient to maximize the event, and other beautiful waterfalls along the course spring to life. If the weather is severe we may have to cancel your tour and reschedule, refund, or issue a gift certificate. Paper waivers: Please try our online waiver first. If that will not work then print out your waiver and bring to your tour. CLICK HERE TO FILL OUT YOUR ONLINE WAIVER! CLICK HERE TO PRINT OUT YOUR WAIVER! Took my son for a day adventure. Nae Nae and Austin were the ideal tour guides.. They made it fun, humorous and educational. This was my first zip. I will be returning for another adventure. My group did the Swing Shot and we had a blast! The view while swinging was great; over the river. Not something for people with a fear of heights. Next time we will experience zip-lining. P.S. bug spray is a must! Had tour guides Shawn and Brando, they both were great made little jokes and knew what they were doing. The views were pretty and the 8 zip lines were a blast. I would highly recommend going! Just returned from an awesome zip adventure. Levi and Kayleigh were the wonderful guides. They made,the adventure safe, fun and educational. We had a blast! Our guides Kaleigh and Chey were so great and we loved the whole experience! We would totally recommend it to anyone looking for something fun to do near Fort Bragg. the two guides really made for a fun way to spend the afternoon,jokes mixed with a few bits of knowledge regarding the type of trees the platforms are incorporated into. Not to leave out the helpful young lady at the front desk. Highly recomend the full tour the best lines are at the second half worth the added cost. It was great and the scenery was beautiful. I encourage everyone to go. Fayetteville NC is the place to go Zip lining. Named one of USA Today's 10 Great Ziplines, ZipQuest is a world-class zipline tour and nature adventure in Fayetteville, North Carolina! Zippers will experience the exhilaration of flying through the treetops of the most pristine forest in our area and viewing beautiful Carver’s Falls from many awe inspiring perspectives. One of the best things to do in Fayetteville NC.